Jan Ross was generous with her knowledge and time. 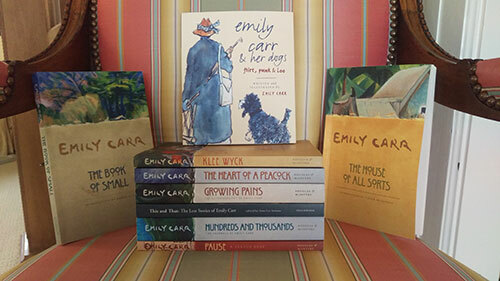 I’d known that Emily Carr was a published author, but not that she’d first gained widespread fame and recognition for her vivid and beautifully written books. 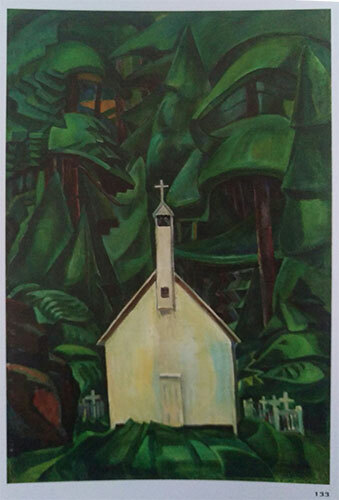 Carr’s “word sketches” (her name for the kind of writing she did) reached millions of listeners when read aloud on CBC public radio, subsequently spurring great interest in her paintings. 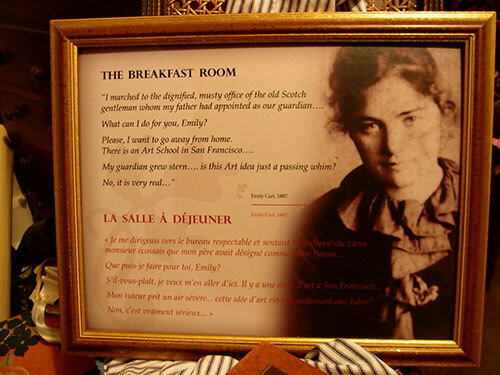 Emily, who kept journals and created sketchpads throughout her life, starting writing when she could no longer paint due to chronic and significant health problems primarily related to her heart. In fact, all of her great writing was done from her sick bed. She was 70 years old when her first book Klee Wyck was published. An evocative work that describes in arresting detail her experiences amount First Nations people and cultures on British Columbia’s west coast, the book won the prestigious Governor General’s Literary Award for non-fiction in 1941. 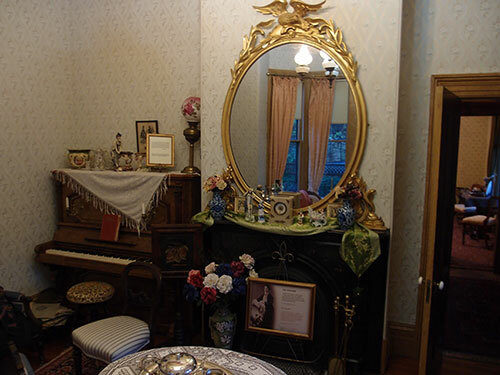 The Book of Small, published in 1942 by Oxford University Press, is a collection of thirty-six word sketches in which she relates anecdotes about her life and times as a girl growing up in what was then the frontier town of Victoria. The last book published during her lifetime is titled The House of All Sorts: heartfelt, heartbreaking, and humorous stories about the trials of being a landlady in a small apartment house she built as a source of income to support herself as she pursued her creative calling. 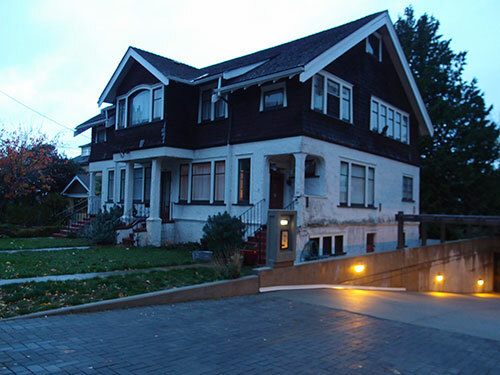 Right around the corner from the Emily Carr House, the building still stands to this day. 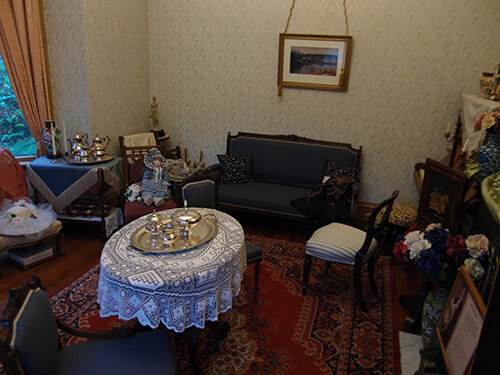 As my husband and I toured the Emily Carr House and Gardens, Emily Carr’s presence was felt in reproductions of her paintings, passages from her books, furnishings from the time period, artifacts that once belonged to the Carr family, and sepia tone photographs of Emily, her parents and her four sisters. 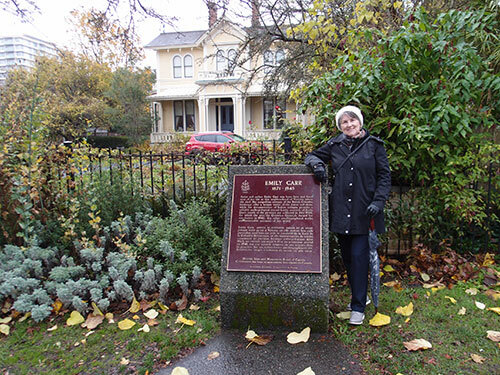 In February 1945, with no specific complaint except weariness, Emily checked into the newly opened St. Mary’s Priory nursing home in Victoria. Biographer Paula Blanchard writes, “Although she had another show in mind and unpublished manuscripts next to her bed, all her major work was done. “I used to wonder,” she once wrote to her closest friend Ira Dilworth, “what people who were facing death thought about it. They seldom mentioned it and I often wished they would. (We are rather cowardly about that thing.) Now I look at it very much as I used to look … on going out into the woods in the van in the old days, busying myself in the preparation of leaving things as straight as I can, and leaving the new camp to be itself when I get there.” On 2 March 1945, in the middle of the afternoon, she got there.